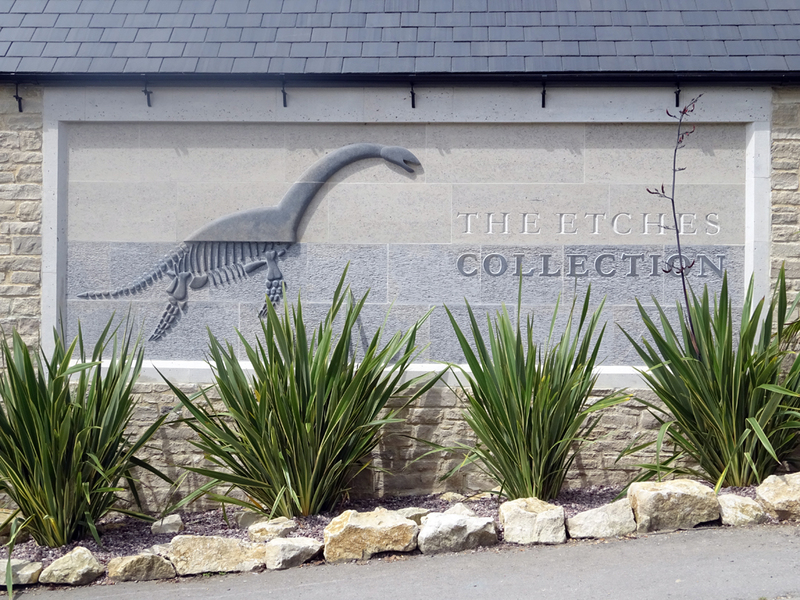 The Etches Collection is a small but unique museum that houses the collection of fossils amassed by Stephen Etches, a local Dorset fossil enthusiast. clay's fossil fauna. The museum had been open less than a year when we visited in August of 2017. 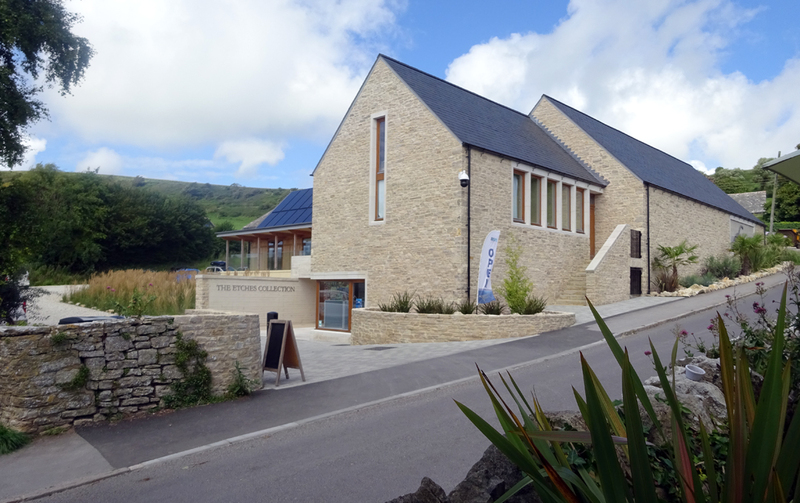 The museum is located in the heart of the Dorset coastline in the area where the fossils were found. The signage to get to museum could be improved! 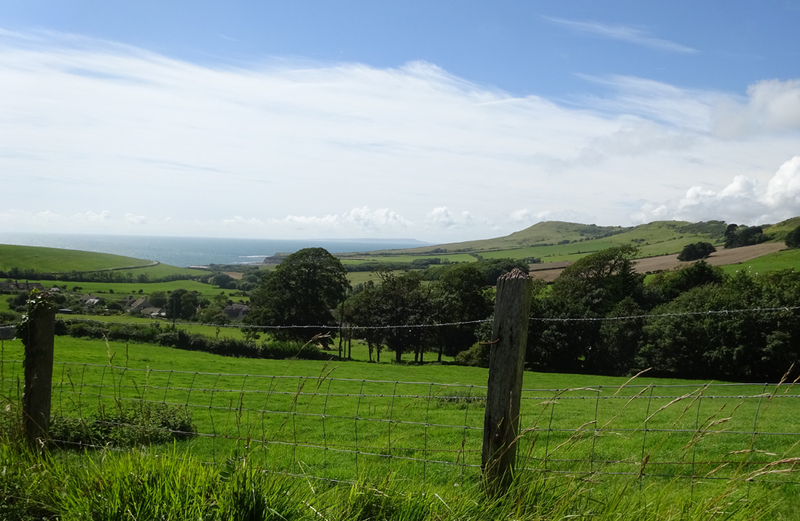 Using the post code on their website, our Apple Maps program directed us to a non-existent location so be sure to search on the village of Kimmeridge. The new building is very well layed out, neat and tidy. There is adequate parking in the rear. Admission is 8 pounds. Across the street is a Clavell's Cafe, a nice restaurant for lunch or a snack. Access to the shore is down through the village. 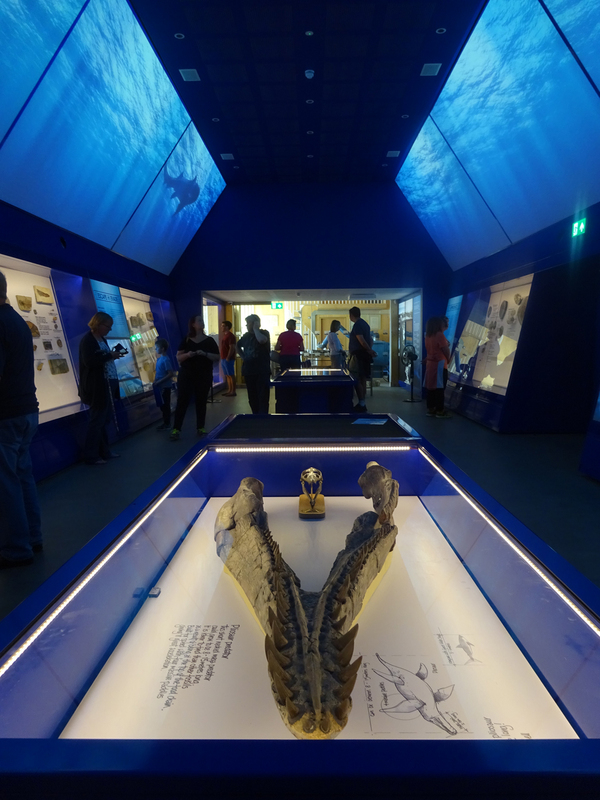 The fossils are all mounted and displayed in an expansive single hall. The panels above are video screens that display cool animations of the Jurassic fauna represented in the fossil collection. Click below to see more of the hall. 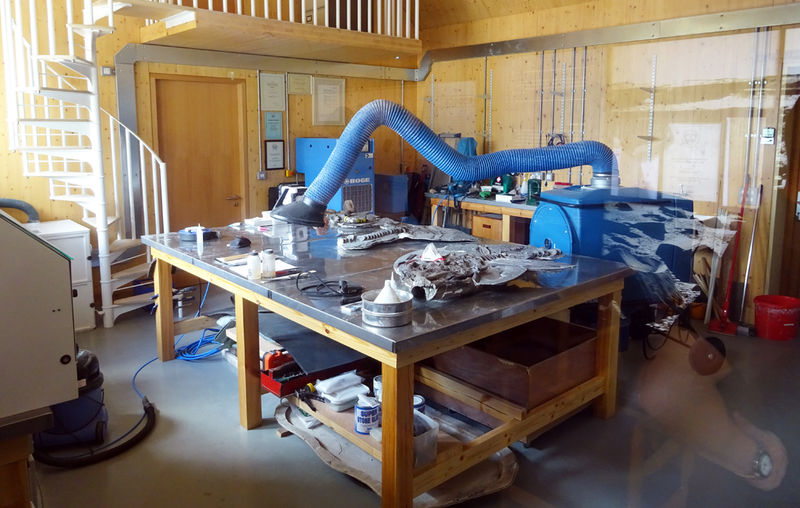 At the other end of the hall is a nicely equipped preparation lab. Several specimens were in progress. 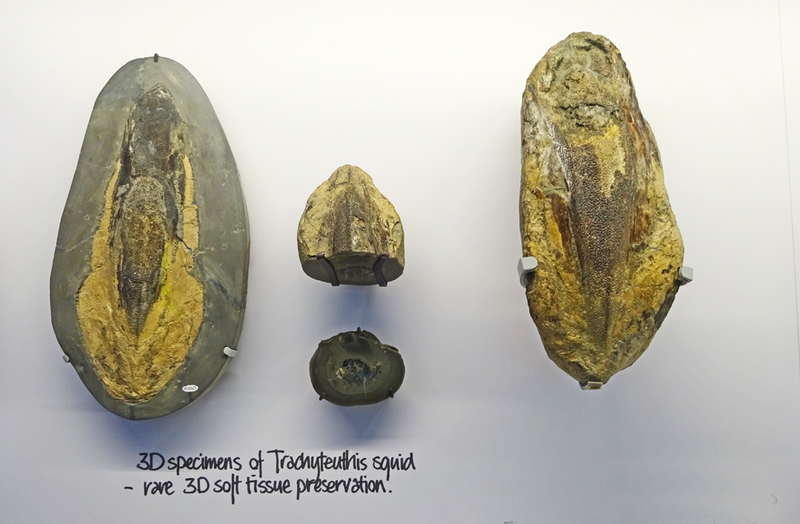 One of the more amazing displays is the numerous specimens of belemnite cephalopods with detailed preservation of soft tissues. 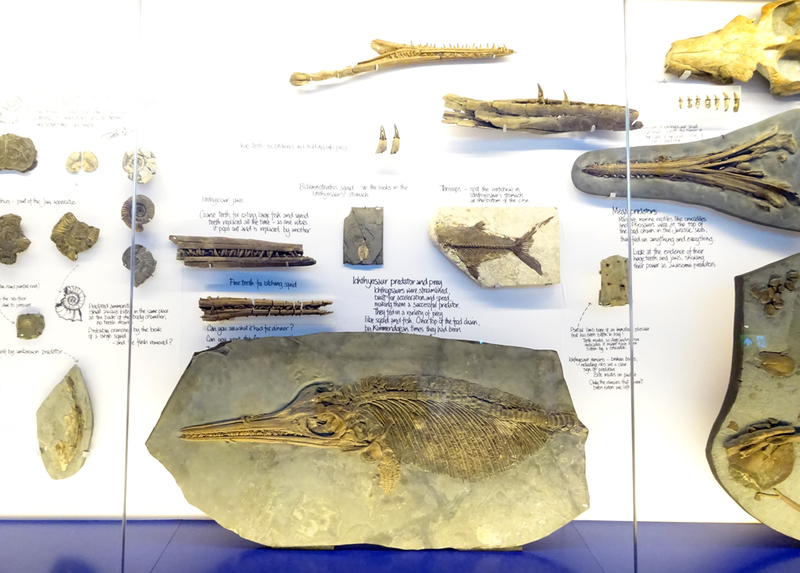 Some of the display cases feature fossils related to a theme. 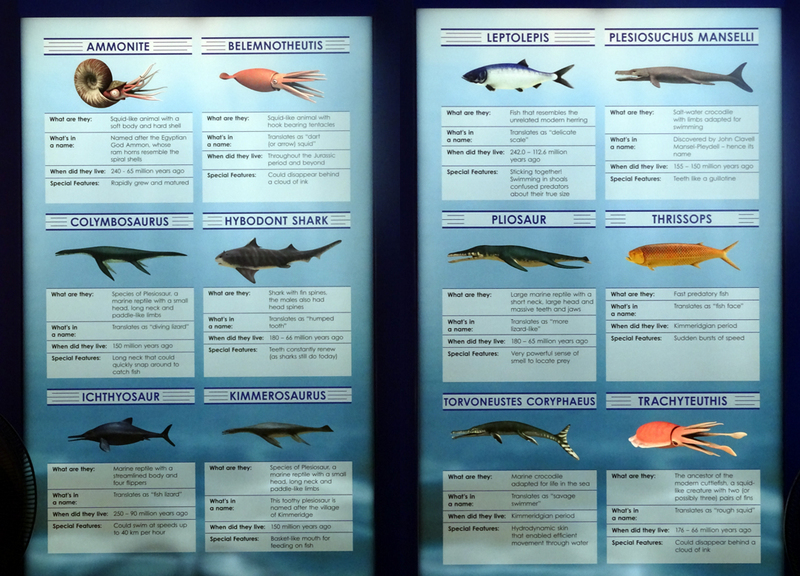 This one shows examples of predation across the Jurassic marine food chain. 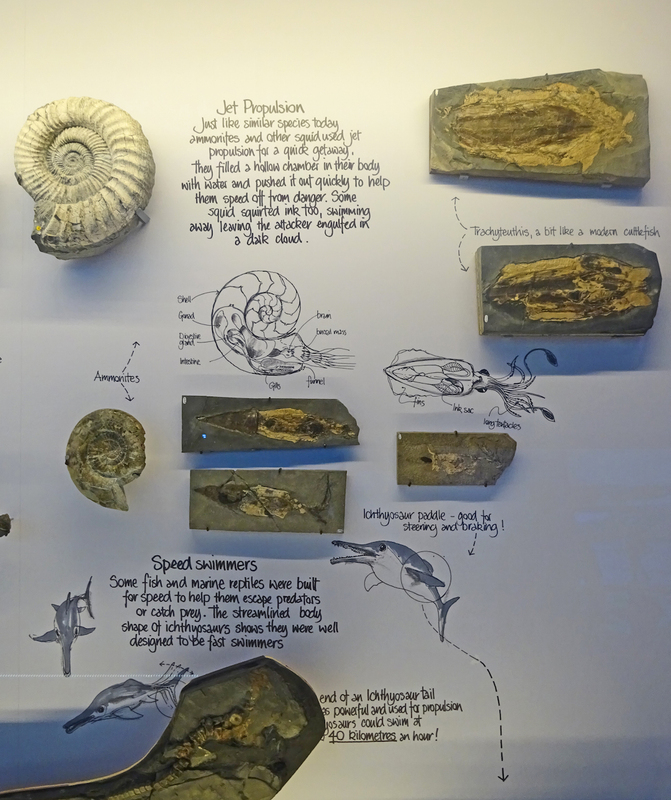 A stunning display of ammonites and belemnoid fossils highlighting the common feature of jet propulsion. The story of recovering this jaw is a tribute to patience! It came down out of the cliffs over a four year period. Steve's persistence and diligence resulted in the safe recovery of a nearly complete specimen.